The low cost and wide color selection of Ikea's Lack side table make this piece of furniture a staple in households around the globe. While Lack tables from Ikea feature a relatively simple design, handy homeowners frequently modify or hack these tables to create anything from a sound system rack to a dining table for dogs. The thin veneer layer, honeycombed cardboard core and hollow legs mean sawing a Lack table requires a light touch to avoid chips, cracks and other forms of damage. Use a standard miter saw to slice through a Lack table with ease. Inspect the ends of the legs. The end with the predrilled holes is designed to screw into the tabletop, so always cut the end without the holes when you are attempting to shorten the legs. Mark the location of your cuts using a marker and a ruler or tape measure. Wrap each leg with a piece of painter's tape to completely encircle the leg. Place the tape so it butts up against the line you drew. Repeat to place a piece of tape around the leg on the other side of this line as well, leaving only the line itself free of tape. Choose your saw. 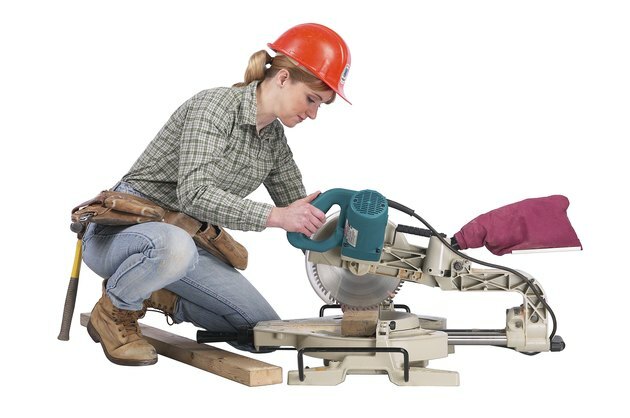 Use a miter or chop saw, or a circular saw equipped with a fine-tooth blade to cut Lack tables. You also can use a fine-tooth handsaw for this task. Put on a pair of safety glasses and position the cut line on the table leg beneath the blade. Lower the blade, using a low angle if you are using a handsaw, and cut slowly and carefully through the leg. The painter's tape on either side of the cut line helps reduce splintering and splitting. Sand the cut edges with a piece of medium-grit sandpaper to smooth them out as desired. Mark the dimensions of your hole on the tabletop using a marker and ruler. Put on safety glasses and drill through each of the four corners of the hole. Allow the drill to pass through the thin layer of veneer at the top of the table, but do not allow it to extend all the way through the bottom of the table unless you plan to completely remove a section of tabletop. Use a jigsaw or rotary tool to cut through the top layer of the tabletop, using the predrilled holes as a guide. Remove this layer once you cut around its perimeter. Cut through the exposed honeycomb cardboard core using a pair of scissors or a utility knife. Remove this section of core. Use a jigsaw or rotary tool to remove the bottom layer of the table, if desired for your project. Sand the cut edges of the table smooth using a medium-grit sandpaper.